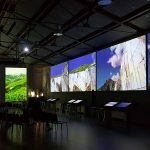 On Sunday, June 11, last season’s appointment with Pietrasanta for children, and a guided tour inside the museum of the future, where real is blended with the virtual and where the art finds the flavor of the fun. The sad Princess is a classic Russian fairy tale, which is well suited to be represented for an audience of pre-school children or early school years, yet fun for the older children as well. The methodology of representation is frontal and exploits the techniques of the comedy of art, clown and cantastorie, well known to the two protagonists. In this way, children can feel comfortable and “accompanied by hand” in the play of representation. 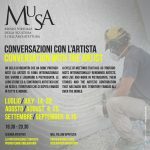 MuSA participates in the “Pietrasanta child-friendly” project. A cycle of events, with quarterly programming, involving the museums of Pietrasanta in a program of initiatives. initiative by Municipality of Pietrasanta, Cultural Institutes, editorial Office and Versiliana Foundation. Artistic coordination Massimiliano Simoni. In collaboration with Itinera and Coopculture within the activities promoted by Comitato S.T.ART.